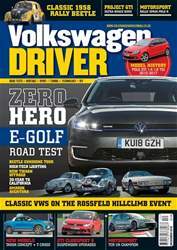 The August issue of Volkswagen Driver is our annual GTI International event report edition, featuring no less than 36 pages dedicated to this year’s event at Rockingham Raceway, from an overview report and photo-features and results from the Sprint and Show ’n’ Shine, to extensive coverage of the cars on the National circuit and club displays as well as all the major traders and exhibitors. 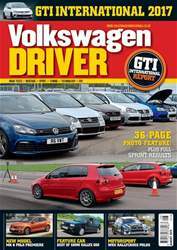 We also have a 9-page photo-feature on James Stephens’s fully restored 1989 Golf Rallye G60, which won the Best of Show award at GTI International on the Saturday. 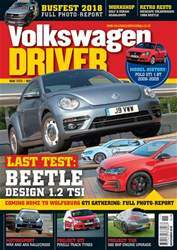 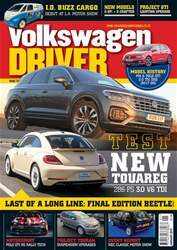 Plus: In addition to a 4-page feature on the new Polo, and all the latest news, we also report on Kristoffersson’s Polo Supercar in World Rallycross, as well as four pages of new products & services and we compare the new Golf GT 1.5 TSI with the Skoda Octavia 1.4 TSI.